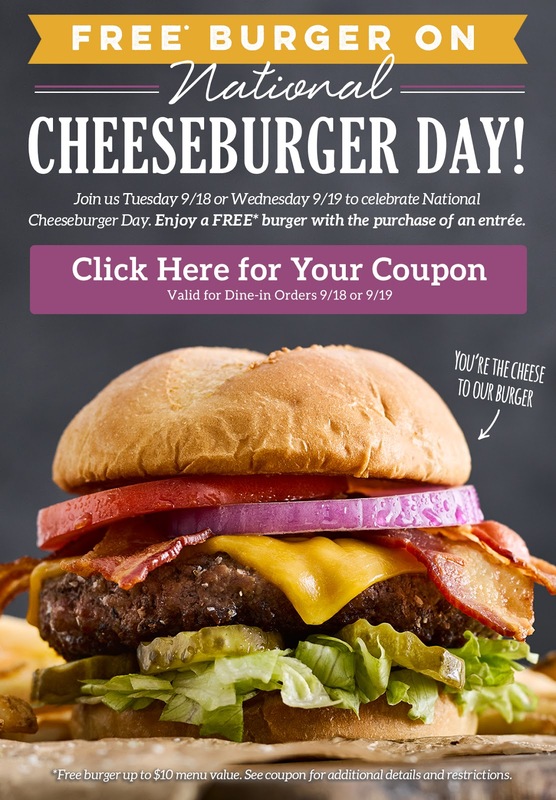 Savvy Spending: Ruby Tuesday's: Free Burger for National Cheeseburger Day, valid 9/18 or 9/19 only! Ruby Tuesday's: Free Burger for National Cheeseburger Day, valid 9/18 or 9/19 only! You can get a FREE Burger for National Cheeseburger Day! If you are a Ruby Tuesday's So Connected member, check your email for an offer for a FREE Burger with the purchase of an entrée. It is valid either 9/18 or 9/19 (tomorrow or Wednesday).